www.st-francisxaviers.hereford.sch.uk but should you wish to contact the school office on 01432 273941 for further information, we would be delighted to help you with your enquiries. Our Catholic faith underpins the school’s ethos and we encourage the children to shine in their lives. Children learn to respect and love one another within a supportive and caring atmosphere that is a tremendous quality of the school. For all of our children we aim to foster an enthusiasm for life, develop inner self confidence and nurture good manners embracing life-long citizenship. Pupils thrive in a caring environment that supports them well, both academically and pastorally. St Francis Xavier’s School is an exciting and inspiring place and the success of the school stems from a relentless drive to create highly effective learning within our rich curriculum. If you would like to apply for a place in our school please complete the online application form through Herefordshire Council. Additionally you will need to complete one of our application forms which are available to download from our website and are included in this pack. Our strong team of dedicated and caring staff have the highest expectations of the pupils who excel across the breadth of the curriculum. Excellent academic standards are achieved across a vibrant curriculum that ignites learning. The staff foster a love of learning and build self-esteem whilst nurturing high aspirations for future learning. 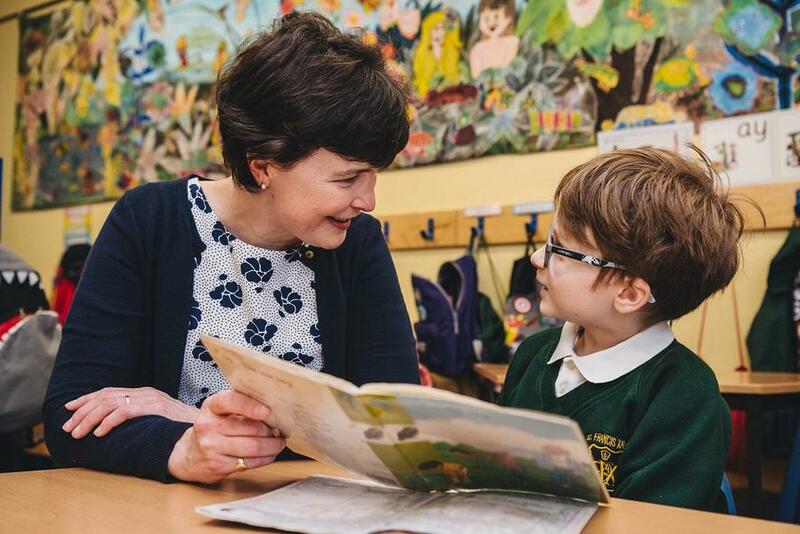 It is my privilege to be the headteacher at St Francis Xavier’s RC Primary School and I look forward to welcoming you in person to our inspirational school.